This year Keith and I are celebrating our first married (but 12th in all) Valentine’s Day together. We’re not going all out with gifts and flashy items. This year we’re keeping it low-key by doing dinner at one of our favorite local Italian restaurants and by going to see “50 Shades of Grey.” Yes, I know…I’m an English teacher, but we all need some mindless reading now and then, right? So, if you’re in the same crowd as I am and you’re ditching gifts to spend time with the one you love, why not rock a killer ensemble. Here, I’m going to show you my favorite VDay Fashion must-haves (and you can shop my closet if you like them). If we’re going out, I’m all about the sweater dress with leggings and boots, OR a cute sweater with dark skinnies and boots. Note, these black boots work with either outfit. Double duty? Love it! I also love adding a little splash of red since it’s Valentine’s Day. Either of these outfits move nicely from night to day, and add an elegant flair. Pair them with a cute purse or wristlet (Rebecca Minkoff has an adorable lust-worthy heart-shaped one), and your outfit is done! Of course, being the nail junkie I am, I’m obsessed with ORLY’s nail lacquer in “After Party.” I love this shade for its cruelty free status, but the color matches either outfit and adds some vampy character to your wardrobe. Once we’re home, I’m looking forward to snuggling into some cozy slippers and baggy PJ’s. Preferably something from Keith’s closet (Carhartt hoodies anyone), and relaxing. To be honest, I’m looking forward to the good old-fashioned dinner and a movie. We’re usually so busy that having a true date night is something that passes through our mind, but never really happens. Who cares if a holiday gets us out and gives me a chance to doll up? Happy heart day to all! What are you doing this Valentine’s Day? Do you love it? Hate it? Already shopped and planned for it? Let me know! My relationship with nail wraps is complicated at best. I was always intrigued by them, but never found one that truly worked for me. After making the switch to cruelty free cosmetics and household products, I came across Jamberry Nail Wraps and received a set to review. My first experience with Jamberry was lukewarm at best. The wraps were thick and made my fingers feel heavy. So, when my pal Stacy told me that she was a Jamberry Consultant and that I should give them another go, I was hesitant. 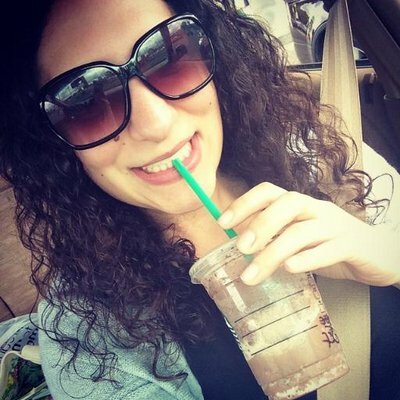 What’s changed since my last Jamberry review? Pull up a chair! The wraps are much thinner and more pliable than they used to be which was a plus for me. I went into this whole experience with an open mind (and snagged two different designs with my own moolah), so when I felt the new formula I was pumped. I also enjoyed both prints that I purchased. My kids said my nails were “poppin’” as a matter of fact. However, despite the new designs and the new formula, the application process for me is a bit dramatic. Unlike NCLA or even the more well-known (and not animal friendly) Sally Hansens, these babies need heat to cling to your nails. Your choices are a mini-heater (which Jamberry sells) or a hair dryer. I went with the latter and used my hair dryer. This design only lasted about 5 days until the sides began to lift up. I had some bubbles right from the get-go, but that’s more operator failure than the product’s fault. This vintage design (please ignore my nasty blister on my palm), was a favorite of mine…but again, the application process was a turn-off for me. There are plenty of tips and tricks for smoothing out your cuticles, using other heat sources, and applying different types of pressure, but for me it’s too much. I am open to trying their lacquers, but for me the filing, ironing, and shaping just isn’t my style. The pros? The designs are way cute and they are cruelty free. The cons? I’m just not into a complicated nail art system and don’t have the patience (both applications took me an hour and they still are not perfect) to manage the upkeep and applications. 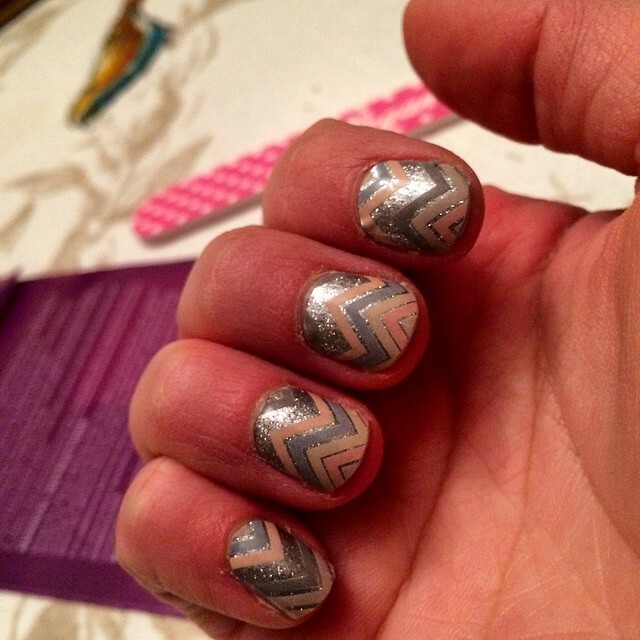 Jamberry…make something that doesn’t require an extra appliance and you might see me writing another post again! 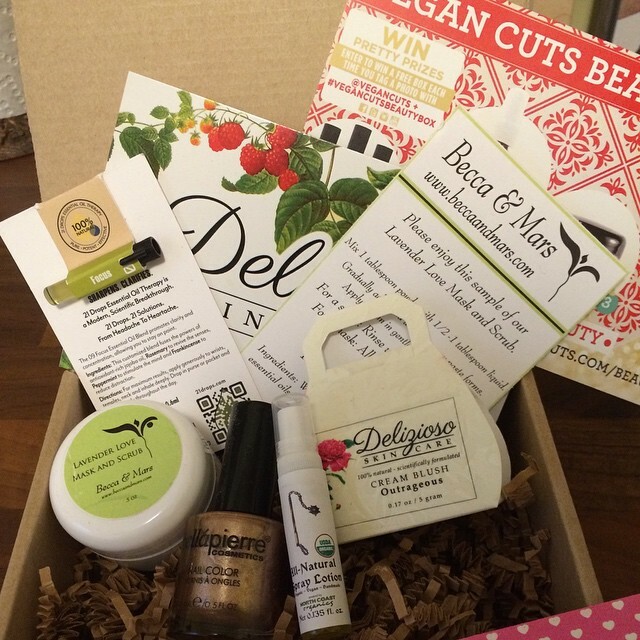 It might not be Christmas anymore, but it still feels like Christmas to me since I’ve been having a ball with my December Vegan Cuts Beauty Box! The Christmas season is always super busy for me, not to mention right after New Year’s we took our honeymoon. So some extra pampering products were just what I needed this month. Interested? 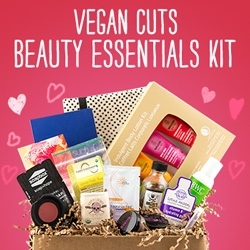 The Vegan Cuts Beauty Box is a monthly subscription box that starts at $19.95 per month. Itâ€™s a great way to try new brands and new products without the commitment of buying the full-size version and can be shipped anywhere! 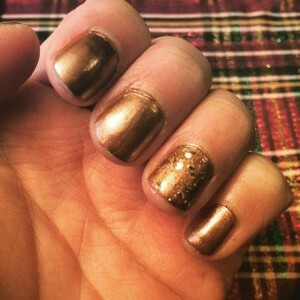 Bella Pierre Nail Polish in Copper Brown: When I saw this color in my VC box, I was pumped. I’m a major lover of all things metallic and sparkly and this hue did it for me. I painted my digits with this color right before Christmas Eve for a fun holiday tint. This lacquer, however, didn’t have the staying power I would have wanted. By New Year’s (less than a week! ), I was repainting my nails and touching up. I’m not giving up on this brand though! Perhaps a good cruelty free and/or vegan topcoat will do the trick? This lacquer is also 3-free goes on well! Two coats and I was good to go! North Coast Organics Spray Lotion: This lotion isn’t really a lotion, per-say. It’s really more of a body oil which is fine with me, just unexpected. North Coast Organics is vegan, organic, and all of their products are handmade which I love. The consistency of the oil is velvety and warm. I used this after shaving and after showering regularly. I love the lavender and rosemary scent. To me, this lotion smells like the holidays! Delizioso Skincare Natural Cream Blush: This little guy was my absolute favorite product from the packaging (the adorable white purse in the above photo), to the scent (a little sugary sweet), to the consistency (smooth and sultry) to the shade (the you just went sledding and have a winter glow cheek of yesteryear). I’ve actually NEVER tried a cream blush until this beauty box came to me last month. I loved the idea of using it as a stain for my cheeks and lips as well. For me, the cream blush blended well with my other makeup (primer and bronzer) and looked NATURAL whereas powder blushes can look cakey. I’m hooked! 21 Drops Essential Oil in Focus: This essential oil was “essential” (lol, ok…cheesy), for me to have during the holidays. The Focus sample I received smells like Frankincense, Rosemary, and Peppermint. I used it on my temples and wrists and the peppermint (which was the strongest scent to me), woke me up and left me feeling refreshed instead of run-down. I’ve always been a fan of essential oils and this one was perfect. I also enjoyed using this before I began a new project during the month like wrapping presents or preparing for guests! Becca & Mars Lavender Love Mask & Scrub: Last, but definitely not least…B&M’s luscious scrub! I’m a huge fan of anything scrubby and squidgy. On their website they say, “We believe that nature creates the best ingredients,” and I couldn’t agree more! This mask/scrub contains white corn meal, almond meal, essential oils of lavender, bergamot, and clary sage and smells amazing. I simply add a little bit of water when I’m going to use this as a scrub on my face and form a nice paste. I’ve also used this on the backs of my legs to get rid of that dull winter skin. I love, too, that B&M is an Etsy brand! 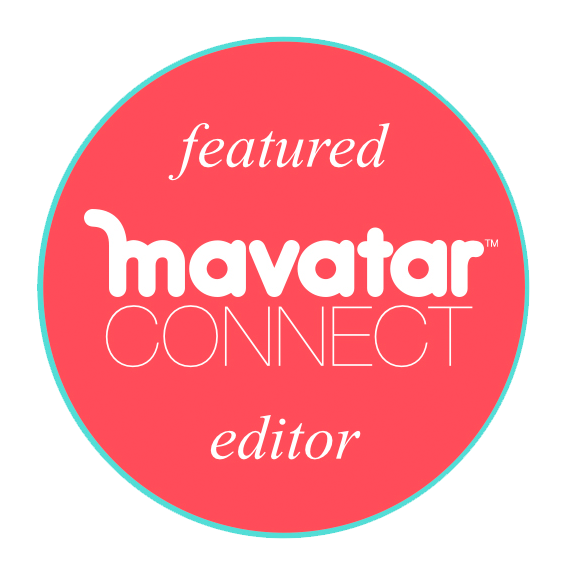 Yay VCUTS for supporting brands of all sizes, right? This mask works as a great once a week gentle exfoliator and reviver while soaking up oils and dead skin with the corn and almond meal. It’s like a superfood smoothie for your face! I had a blast with this months beauty box. Did you have any favorites from this month?